Developer outline can be regarded as a trained programmer. Not only understand about coding, but he also designs in accordance with a provision or requirement. Then he also performs optimized performance, security and others. In the world of Web Developer we often hear Front End Developer, Back End Developer and Full Stack Developer, here is the meaning of each. Back-End Devloper is a programmer job that takes care of the back of the screen from a website or works on the Behind The Scenes website and has an edge over front-end technology for more specific projects like workflow, logic and web algorithms. Back-End Developer task is only the processor, then receive data from the input and process the data received from the input, then send it and displayed to the user through the browser. 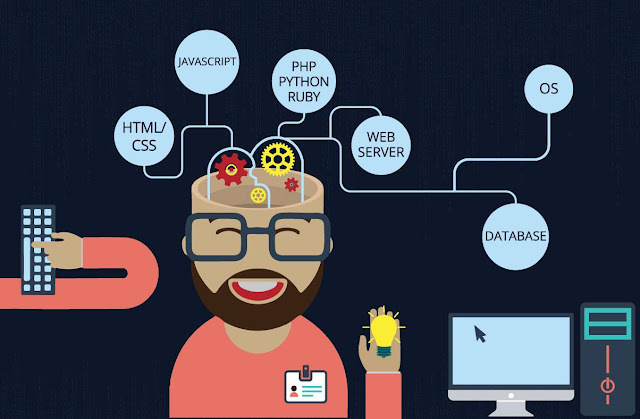 Skills that must be needed to become a Back-End Developer is to master the language such as PHP, ASP and JSP. PHP is a Server Side language that is popular and widely used among developers. Most content management systems are built through Back-End Programming, for example in complex web applications. Learning coding will teach you to find the best solution for various problems, and sometimes Back End Programming is part of the solution. To build a website that runs well, Back-End Developer usually works with Front-End Developer. Full-Stack Developer is a programmer who takes care of the tasks of Front End and Back End Developer. 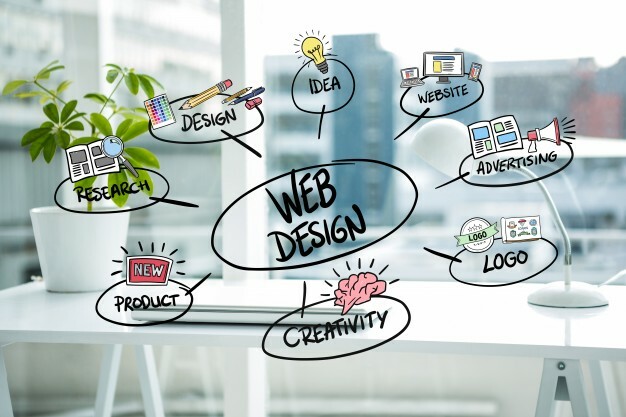 Full-Stack Developer is able to design the look and layout of a website (like a Front-End Developer) and able to understand the path of workflow and algorithm of a website. To be a Full-Stack Developer does not seem easy, the article you should be able to master the skills of a Front End and Back End Developer. The current technological developments make the difference between Front End and Back End Development becoming less. Many things that previously could only be done in the Back End, can be done also through the Front End. This makes the more developers who master the Front End and Back End Programming at once. At this time, being a Full Stack Developer also adds your special value in the eyes of the company. However, being a Full Stack Developer does not mean having to work on the whole code either Front End or Back End of a website. Most Full Stack Developers still spend time on one part of Programming course. However, the advantage of Full Stack Developer is that they can analyze problems in both parts of Programming. There are also some Full Stack Developers who do everything themselves, usually this happens if they are Freelance or the only Developer working on a Project. The most interesting part of Web Development is its evolving nature. What is meant as Front End or Back End at the moment, could change drastically in the next few years. Learning both will make you more value, adaptable, and forward-looking. Finally I write a post again after so long, is there a miss with my article? Ah, although no one missed me I would still write for myself. 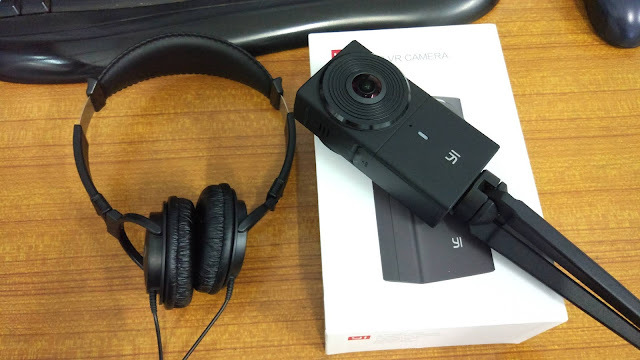 It does not take too long to preamble, I'll share my first impression when I first open, hold and operate the new device I can buy after long time I want it, yes it's about Yi 360 VR Camera. Operating very simple with very easy to understand menus, after exploring just a few minutes I already understand the function on each menu, the next thing is to try to use it. 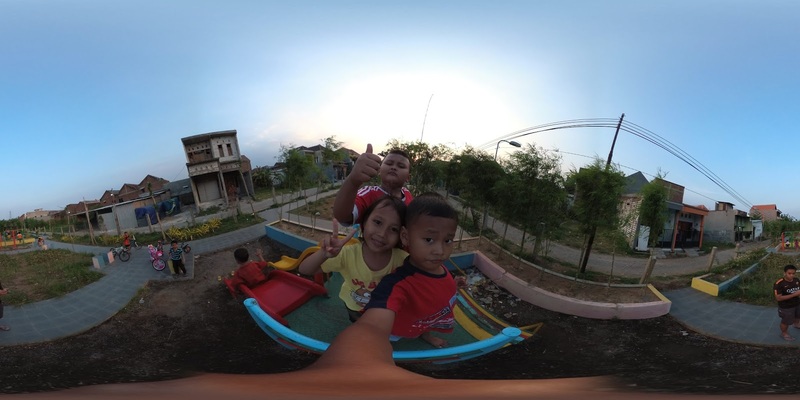 Firstly, as the instructions of manual book, install apps on my android device is Yi 360, after the installation of the apps, the initial page is offered to connect the android smartphone to the 360 ​​VR device via a wifi connection and connect easily. Because I am confused to write what else, then please directly see the video unboxing below. and I include the results of itsits photo, for the video quality may I review in the next article. 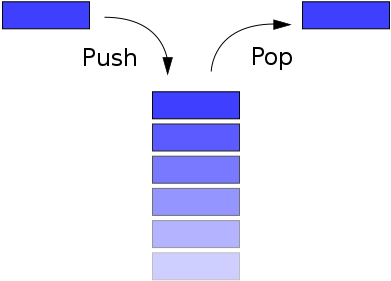 A data structure organizes related data in a computer so that it can be used efficiently. Different kinds of data structures are suited to different kinds of applications, and some are highly specialized to specific tasks. For example, graphs are used to represent connections on social websites (such as Twitter, Facebook), trees are used to represent hierarchical data, such as files and folders in a filesystem, queues can be used to create task schedulers, compiler implementations usually use hash tables to look up identifiers, binary trees are used in searching algorithms, etc. 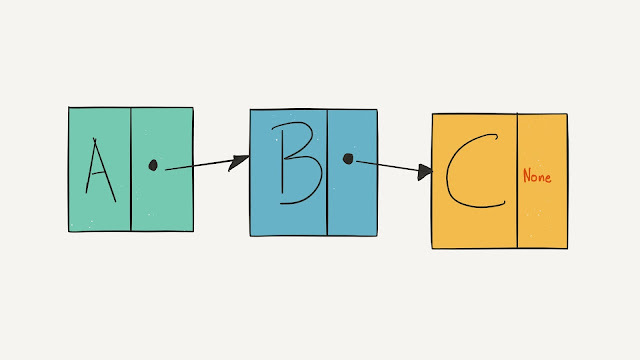 Usually, choosing the correct data structure is key to designing an efficient algorithm. Some data structures can be used to create others, for example, linked lists can be used to create stacks and queues. "Each data structure has a set of operations that can be performed on the data it stores. We select a data structure based on the operations required to implement an algorithm." 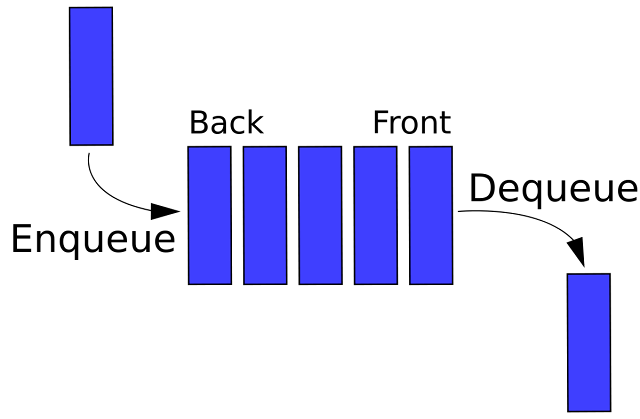 The linked list data structure is often used to implement other data structures. A linked list is a sequence of nodes where each node stores its own data and a pointer (address) to the location of the next node. The last item in the list has a link to NULL, indicating the end of the chain. Although a linked list is similar to an array, it is not restricted to a declared number of elements. Additionally, unlike an array which stores data contiguously in memory or on disk, a linked list can easily insert or remove elements without reallocation or reorganization of the entire structure because the data items need not be stored contiguously. 1) Random access is not allowed. We must access nodes sequentially starting from the first one. Therefore, we cannot do a binary search on a linked list. 2) Extra memory space for a link is required for each element of the list. "Linked lists are generally used as the fundamental building block for implementing data structures such as stacks, queues, trees, and graphs." A stack is a simple data structure that adds and removes elements in a particular order. Every time an element is added, it goes on the "top" of the stack. Only an element at the top of the stack can be removed, just like a stack of plates. This behavior is called LIFO (Last In, First Out). Adding a new element onto the stack is called push. Removing an element from the stack is called pop. Stacks can be used to create undo-redo functionalities, parsing expressions (infix to postfix/prefix conversion), and much more. "A stack can be implemented using an array or a linked list." This behavior is called FIFO (First in First Out). The process of adding new elements into the queue is called enqueue. The process of removal of an element from the queue is called dequeue. Queues are used whenever we need to manage objects in order starting with the first one in. Scenarios include printing documents on a printer, call center systems answering people on hold people, and so on. "A queue can be implemented using an array or a linked list." Graphs are used to represent many real-life applications like networks, transportation paths of a city, and social networks such as Facebook where each person represents a single node. Graphs are useful in many applications of computer science as well. A graph is a set of connected nodes where each node is called a Vertex and the connection between two of them is called an Edge. We define a Graph as a data structure that consists of finite vertices and edges. Image A is an example of an undirected graph. Here, the edges do not have directions, meaning that if the vertex u is connected to v, then v is connected to u.
Undirected graphs usually are drawn with straight lines between the vertices (no arrows). Example: On Facebook, if user A is a friend of user B, that automatically means that user B is a friend of user A. Image B is an example of a directed graph. Here, each edge has a defined direction, which is usually represented with arrows. Having u connected to v does not necessarily mean that v is connected to u. Example: On Twitter, if user A follows user B, then user B does not necessarily follow user A back. Check out the implementations below! 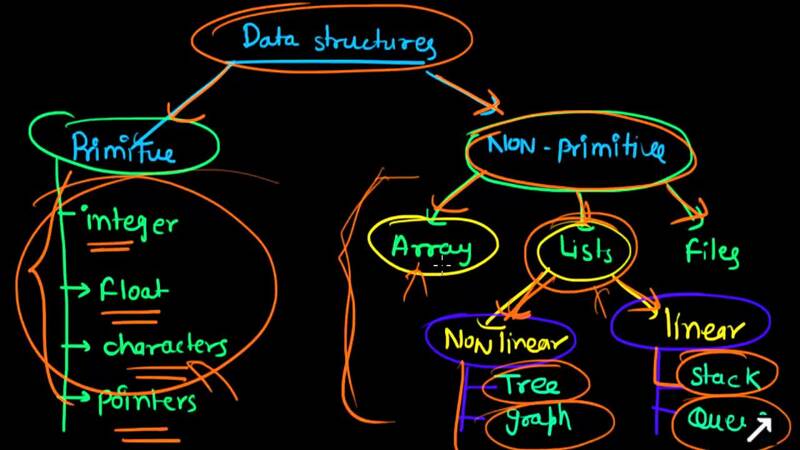 Unlike linear data structures (Arrays, Linked Lists, Stacks, and Queues), Binary trees are hierarchical. They consist of interconnected nodes. The topmost node is called the root. 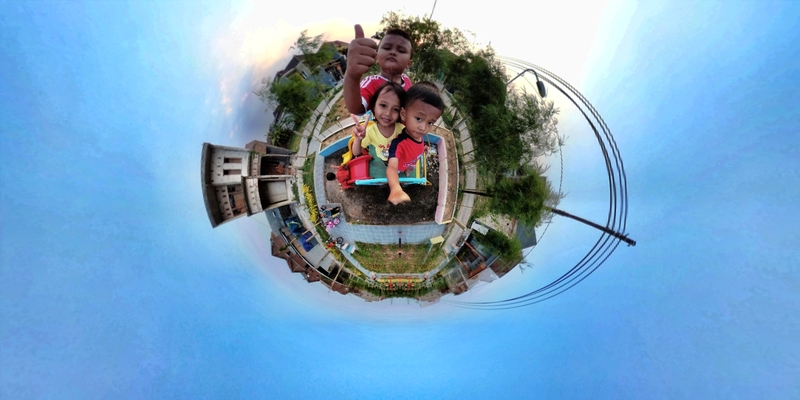 For a given node, the nodes that are directly under are called its children. The tree is called binary because each node can have at most two children. The node directly above another node is called its parent. 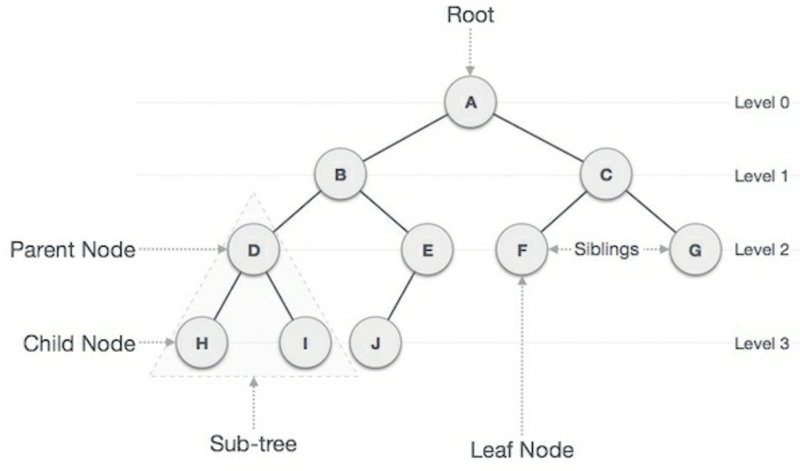 The tree which is a child of a node is called subtree. Elements with no children are called leaves. The maximum number of nodes from root to leaf is called the height. There are various types of binary trees, each having characteristics suitable for its purpose. A binary tree is considered full if every node has 0 or 2 children. A binary tree is considered complete if all levels are completely filled except possibly the last level and the last level has all nodes as far left as possible. 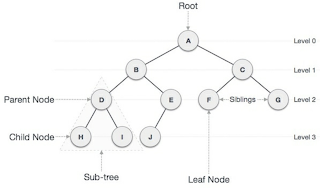 A binary tree is considered perfect if all internal nodes have two children and all leaves are at the same level. - Trees reflect structural relationships in the data, and are used to represent hierarchies. - Trees provide efficient insertion and searching. - Trees are very flexible, allowing subtrees to be moved around with minimum effort. "One of the most common applications of the binary tree is the Binary Search Tree (BST), which is used in many search applications." 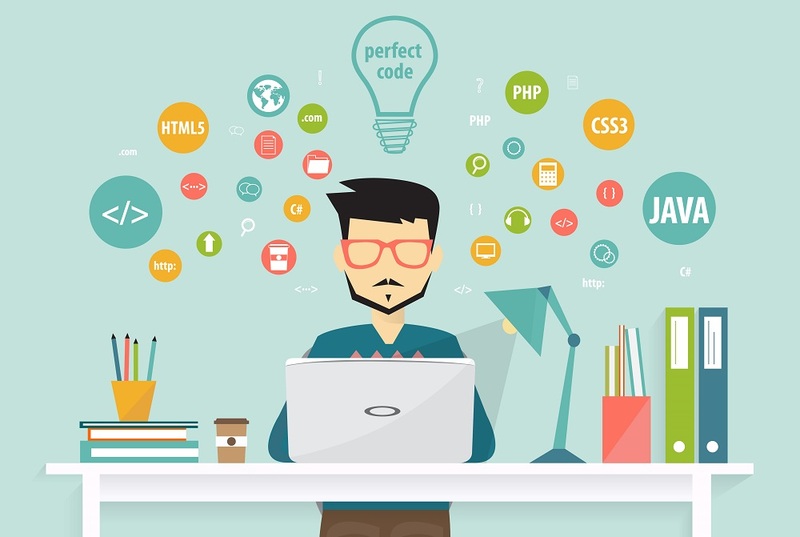 One of the specialties of the software engineer profession is a full-stack developer. There are so many definitions of full-stack, which I want to discuss is a full-stack developer in the world of web. Point # 1 is done by the designer. Point # 2 by front-end engineer. Point # 3 and Point # 4 by back-end engineer. Point # 5 by deployment officer, system admin, or sometimes back-end engineer as well. Full-stack developers are the ones who work on # 2 to # 5 or even work on # 1 points, that is design. So, the formal definition is someone who understands how a pile of systems works and is able to implement them. If the English term, "Jack of all trades". Of course, with a full-stack developer, we can save resources. We do not need front-end developers or even designers. Of course, this developer fits perfectly with a very limited resource environment, such as startup. To get a technical co-founder who is a full-stack developer is a blessing. A broad and wide understanding of a system is certainly useful when other places are resource-poor. Suppose there is a project that is in need of more back-end developers. He can directly help him. No wonder a full-stack developer is very easy to get a job because many companies want full-stack developers on their team. In fact, finding a good full-stack developer is very difficult. indeed the difficulty level to become a good full-stack developer is much more difficult than good specialization. Ok, after reading the article a few hours from night until this morning, and from yesterday also read and read the article. 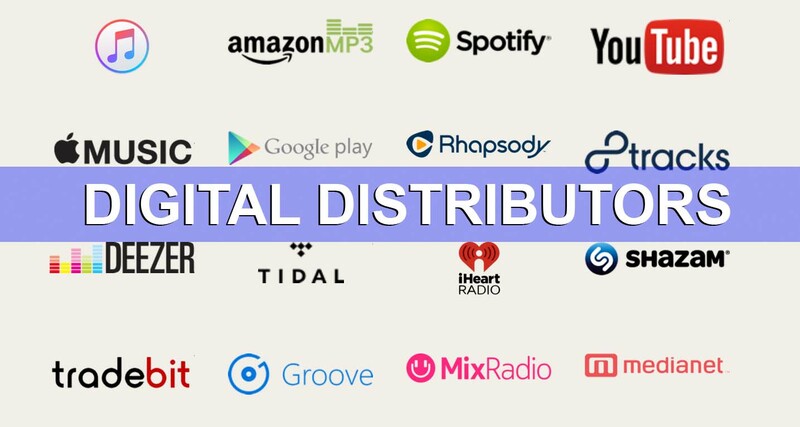 For you musicians who want to distribute your music online, please read this ARI article: http://aristake.com/post/cd-baby-tunecore-ditto-mondotunes-zimbalam-or This is the best, superb, review and comparison. Some Digital Distribution service providers, some paying in front of a dozen dollars, or grab royalties a few percent thereafter. There is also a 100% free, not pay and do not take royalties for example Freshtune and Amuse. They are looking for revenue from other features, like making album art and more. It seems I'll try that 100% free. And maybe somebody asks why I want to signup with them? Did not I already signup with local Digital Label? Incidentally I yesterday asked to Label, what I may be selling songs elsewhere if the song is different from the contract with them? (I contracted 6 songs on the mini album "8 Minutes ago", and if I can use the same name, or have other names? They answer "Yes", as long as it is not 6 songs contracted, and the same name is free to use, WOW , good news is not it? Apparently, I have the freedom to expand my music business elsewhere, without breaking the contract because in this era, we must move ourselves, do not just rely on 1 or 2 sources of income, we must expand. Then why do I still use the local Label, While many options are more seductive, Wider network, take less royalties, even for free! 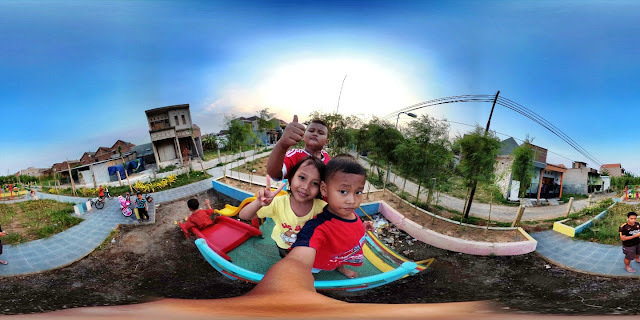 Yes because I need their connection to local, like RBT, and opportunity for other things, like yesterday had time to play in sinetron, and invited to some premiere of film, because my label under big Production house, so the connection is wide. Well, for those of you who want to know about Digital Distributor which one suits you guys? 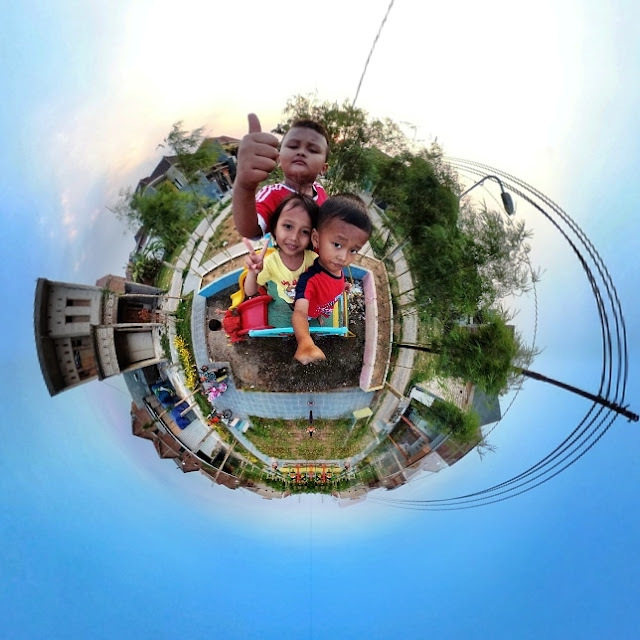 Read this SUPERB article: http://aristake.com/post/cd-baby-tunecore-ditto-mondotunes-zimbalam-or, and decide what you want to join. I suggest just try some and compare. But remember, only 1 release for one Distributor, otherwise it will clash and be a problem! TAG your friends who are musicians huh!